Notice: Undefined property: stdClass::$comment_count in comment_node_page_additions() (line 728 of /var/www/modules/comment/comment.module). Join us at 7pm in the library's Community Media Room. 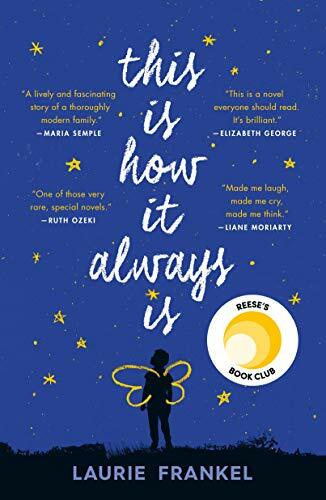 This month we are reading This Is How It Always Is by Laurie Frankel. New members are always welcome! Contact the library if you wish to join the Book Club email list. Copies of the book are available to borrow and to purchase.